At this point in his life, Denny decided to quit the music business. He took a job as a dispatch clerk in a paper mill in Selby. Despite finding the daytime hours difficult, after years of irregular hours in the music business, he was relieved to be finally out of the pressures of it. 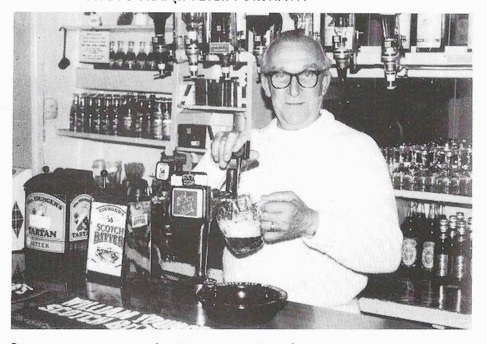 It was not the first or last regular job that Denny was to take, and he was later work on a railway station and also run a public House. Denny was to perform again occasionally, but the music business and styles had changed almost beyond recognition. It was therefore an indication that Denny’s musical career was finally over. But Denny was not forgotten. He made an appearance on the Thames TV programme ‘Looks Familiar’ as part of a series that looked back on the stars of the 30’s to the 50’s. The period of the late sixties also saw the emergence of the reissue LP. Many of the recordings of the 'Golden Age' of the dance bands were repackaged, and newer audiences heard them for the first time. This trend was given a boost by the plays of Dennis Potter, especially so in the 1978 play, ‘Pennies From Heaven’ which used a lot of the period music, including some of Denny’s recordings. 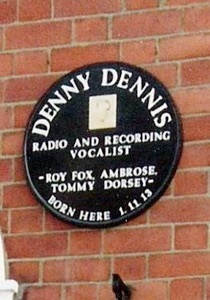 As a result of this trend an LP of some of Denny’s 1940’s solo recordings was issued on the Decca ‘Ace of Clubs’ label. Entitled, ‘Yours For A Song’, it was Denny’s first album as such. Following the 1970’s, the reissue market has blossomed, and many of Denny’s dance band recordings have been reissued, but very little of his 1940’s solo recordings, and virtually nothing of his 1950’s recordings. 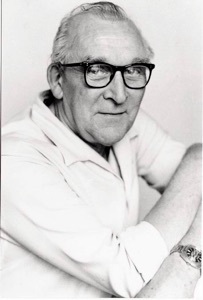 The BBC radio DJ Alan Dell did a great deal to keep the memories of the dance bands and its stars alive with his radio show, The ‘Dance Band Days’, as well as other presenters of nostalgic music, such as David Jacobs, Charlie Chester, and Desmond Carrington, who occasionally played Denny’s records. In 1982, Alan Dell helped to bring Denny out of retirement at the age of sixty-eight to form part of a tribute to Roy Fox at the Royal Albert Hall. Sadly, Roy Fox had died a few months earlier. Denny was to meet up with many old friends, and he sang a duet with Mary Lee, a former Roy Fox vocalist with whom Denny had worked and recorded. They dueted on ‘Let’s Call The Whole Thing Off’. Denny also performed three solos: ‘What A Difference A Day Made’, the ‘The Glory Of Love’ and ‘The Folks Who Live On The Hill’. Denny received a standing ovation. Following the tribute to Roy Fox, a former fan, Pete Murray, immediately interviewed Denny on his BBC radio show where Denny reminisced about the dance band days and his career. In 1983, Denny made another appearance, as part of a tribute to Sid Phillips, who had passed away some ten years earlier. The concert took place at London’s Queen Elizabeth Hall’, where Denny sang ‘Did You Ever See A Dream Walking’, ‘East Of The Sun’, and ‘Hello Young Lovers’. In 1986, Denny’s old friend Len Marten produced and presented a BBC radio tribute to him. It was a mixture of recordings and recent interviews with Denny, and was an excellent profile of his career, told in part by Denny himself. On a personal note, I listened to the programme and I would like to say that to younger listeners such as myself, who collected Denny’s recordings, but knew nothing of him or his wider career; such programmes are very important and we should have more of them. By coincidence, 1986 was also the year that Decca re- released some more of Denny’s solo recordings from the 1940’s on an LP entitled, ‘Starlight Serenades – Four Vocalists of the Forties’. The LP featured nine numbers by Denny, as well as material By Vera Lynn, Anne Shelton, and Donald Peers. Amongst the recordings was ‘It's The Bluest Kind Of Blues’, which had seen no reissue in forty years. Denny by this time was definitely retired. He was living in Cumbria, and could be found pulling pints in his local pub. But he was not to be left alone just yet. Writer Mike Carey and publisher Trevor Island wanted to produce a tribute to the local Derby lad who had found such a wonderful career in the music business. They contacted Denny, and he agreed to help them produce a book that told his life story. The resulting book, written by Mike Carey, (now out of print but with a few copies still available) was entitled ‘I’ll Sing You a Thousand Love Songs’, after one of the titles that Denny had recorded in the 1930’s. Denny related his story in a series of interviews, providing anecdotes of a very different musical era and his career within it. It was probably difficult for Denny to tell at times, but it was important that it be told. “It has been very gratifying for me to share my talent with so many people. I have been overwhelmed by messages of goodwill. You may find it hard to believe, but I have honestly never grasped how much my singing appears to have meant to so many of you”. Denny could look back with more than a sense of accomplishment. But sadly, after finally gaining some of the belated recognition that he deserved, Denny passed away in November 1993. He was eighty years of age. The world had lost one of its great performers, and a real gentlemen of song, and of life. The man who sang us a thousand love songs will be missed by many, but not forgotten. Denny Dennis was proud of his achievements, and he was also very proud of the musicians and songwriters of his generation that did so much to help him along in his career. “The fact that recordings made by me and my contemporaries from the dance band and later eras are still sought after and broadcast to-day underlines the talent, dedication and sheer hard work that went into making them. We live in a changing world but our kind of music has stood the test of time and it is up to all of us to do what we can to make sure that it continues to do so”. Hopefully, this tribute will help in some small measure to do just that.